- Complete nutrition to meet the demands of healthy, growing chicks. - 18% protein to support muscle development and weight gain. - Fortified with vitamins and minerals to support healthy growth and development. 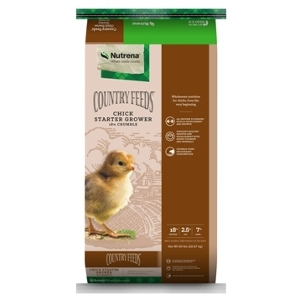 - A complete chick feed—no need for supplementation. - Crumble form encourages feeding.